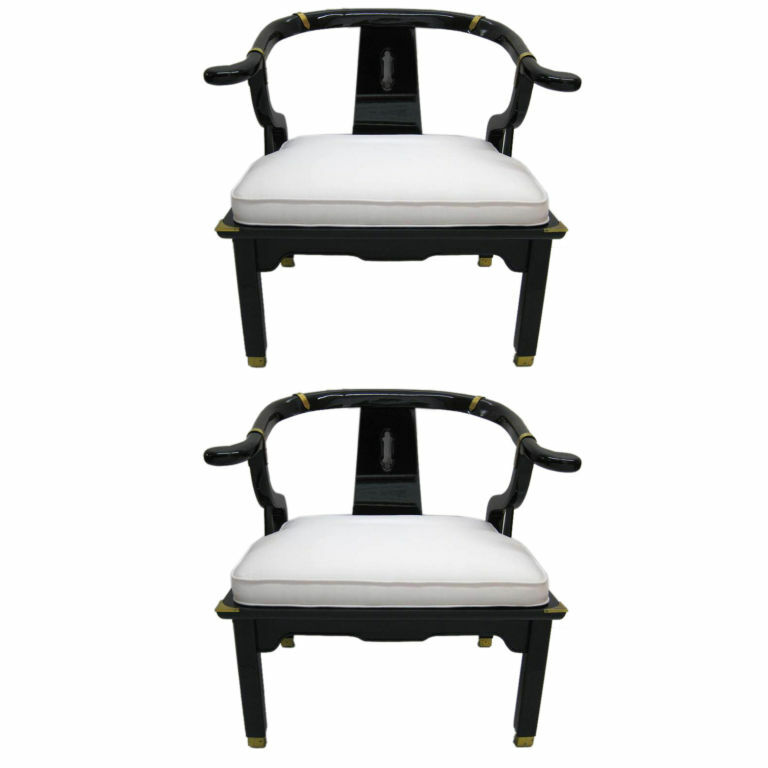 Above is a pair of vintage James Mont style black lacquer chairs with brass accents and cushions for $3200 for the pair at 1st dibs. Below is a vintage pair of James Mont style black lacquer chairs with brass accents and raw silk cushions for $325 for the pair at LIV Vintage. I might have to retire my High/Low feature after this because this is going to be tough to top! 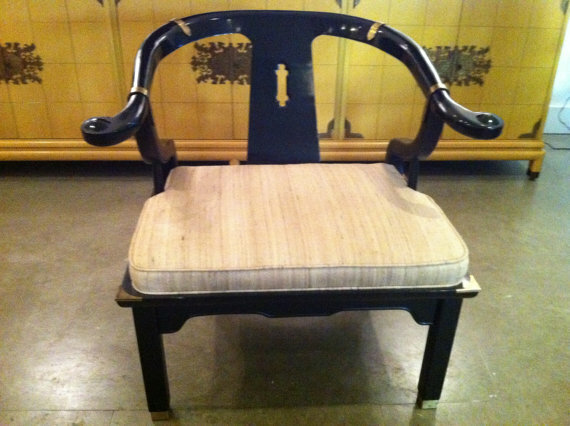 Loved her chairs; can't get them off my mind! She even quoted me a very reasonable shipping price...still can't pull the trigger...! Darn indecision! Amazing! Beth this will be hard to top! Love the Foo Dogs below as well; the Z Gallerie are actually my favorite!